Can you tell my little black pearls were added afterwards?? Oh well I had the best of intentions and still made it work so I'm quite happy with it. 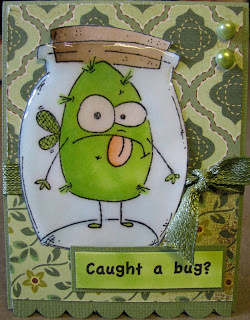 This card was super easy to make & one that I'll definitely replicate! 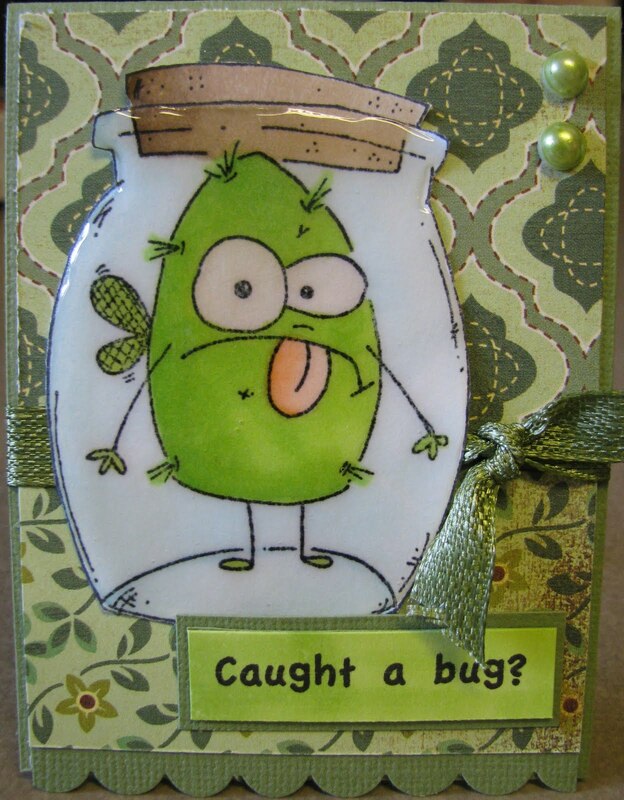 I used leftover plain white cardstock and embossed it with a cuttlebug embossing folder. Next I added Tim Holtz Distress ink in Spun Sugar directly from the pad to the paper for the background and mounted it on pink cardstock. I added a Prima flower that has been sitting in my stash for well over a year and stamped the work Thanks using a sentiment from an Amy R sentiment set I have. The pink ribbon is also some leftover ribbon that I couldn't bear to part with and fit perfectly with this card. For my felt element I layered some felt flowers by SU and then used brads for the centers. 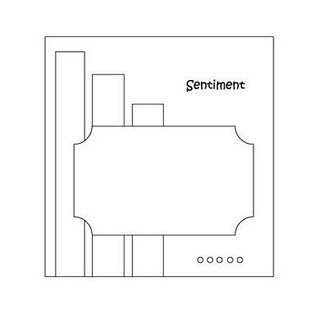 The sentiment is from an Amy R Friendship set. 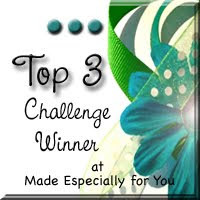 I will also be entering my card into the current challenge #182 over at Cute Card Thursday which is Anything Goes. I used some leftover scraps from my last post to make this somewhat vintage, distressed card. The paper is from Bo Bunny's Timepiece collection and the flourish stamp behind the flower is from a SU set that I own and have rarely used (how's that for using my stash?). I distressed the lace with Tim Holtz distress ink & airbrushed my flower by Recollections with copics to match a little bit better. I also coloured the pearls with copics to match. I swear I will never, ever buy any other pearls than white as I just love that I can use copics to colour them to match any project I'm working on. 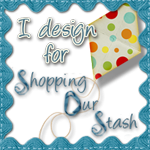 Well I hope you play along with this week over at SOS so I can look at your fabulous Shabby Chic, vintage or Distressed creations and hopefully get over my fear of this theme :) The other DT girls have some fabulous creations to share with you too! Hope everyone has had a fabulous week! Mine has been super crazy with back to school preparations and last minute school clothes shopping for my son that I couldn't wait for this weekend to arrive. Now it's almost Sunday (I'm typing up my post early) and I wish the weekend was even longer! There is never enough hours in a day to get everything I need to done! I just got back from a wonderful family dinner and I ate way too much food but it was a fabulous day with family and the weather was fantastic too. Well enough about me!! 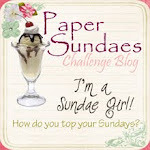 It's time for another Paper Sundaes Challenge #86 which we are calling "Finishing Touches" which means we would like to see you decorate the inside of your card! 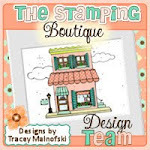 Our sponsor is the fabulous MFT (My Favorite Things) Stamps this week and they have the most adorable stamps & fabulous dies called Die-namics which are really fabulous. I have a bunch I'm waiting for to be delivered and would be stalking the mailman if I could!! 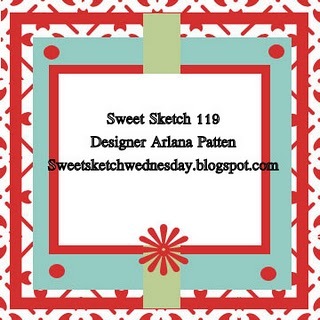 For my card this week I decided I wanted to do something different so I created a tri-fold pocket card from these instructions I found over at SCS. I used some of my favorite design paper from Bo Bunny's Timepiece collection for this card and even did some paper piecing of her outfit. I coloured the rest of the image with copics which are also available over at MFT. I used up some flowers I had on hand and the two larger ones were airbrushed with copics to match a little bit better. I added some pearl flourishes and the sentiment from the same set to complete. I'm definitely making more of these tri-fold pocket cards in the near future as it was really easy! 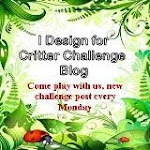 It's time for our 16th Challenge over at Shopping our Stash (SOS) Challenge Blog and being that the theme this week is: BIRDS, BUGS OR BEASTS I was able to use up this Whipper Snapper image "Caught a Bug" I've had in my collection for quite some time now. I used paper from Kaisercraft to decorate my box along with these fabulous flowers, pearl flourishes and an image by The Greeting Farm's Miss Anya Dressy set. I figured that since I wasn't making a card I should make something to hold some of the many cards I've got piled on my desk :) I'm thinking this would be a great gift to give away full of cards for someone to use as needed! Can't wait to see your Anything but a card creation! I'm typing up my post and scheduling it early because I'm headed down to the cabin for the long weekend WOOHOO!! Can't wait!! After the last few weeks I've had I'm looking forward to getting away and relaxing. Maybe this time I'll remember my camera so I can post a few pictures when I get back. I coloured the image with copics and then paired it with this super cute paper sent to me from my SOS DT leader Carla. Love this paper, it's so pretty! The sentiment comes with the Wally image. I hope you will play along with us this week :) Don't forget to check out the super cute stamps over at PMS, they have the cutest fairies, kid-friendly monsters and wonderful sentiments too!